Another regular film night has started in Hoylake. Hoylake Lawn Tennis Club (HLTC) are now hoping to hold regular movie nights for club members at their club house in Eddisbury Road. 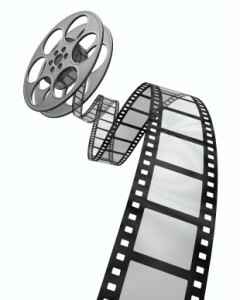 Over the winter months HLTC plan to show films every 4 to 6 weeks, featuring films from the foreign and arts genres. Find out more in their club website blog. Meanwhile the larger Hoylake Community Cinema continues to attract audiences and this evening enjoys a sell-out as Hollywood director Alex Cox comes to Hoylake. Two classic Christmas films are scheduled for December and should prove popular with viewers of all ages.